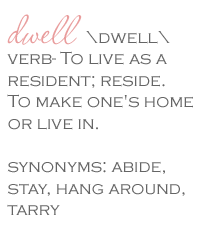 Dwell by Cheryl: "Ready or Not"
It's hard to believe that the holidays are already upon us. The Wal-Mart Black Friday ad is out, the Christmas Muzak is in full swing and holiday decor lines the aisles at just about every retailer. I thought I'd get a jump start so I could share with you a few festive yet frugal ideas for creating a wonderland in your home. So, this week's posts will be dedicated to the holiday decorating on a budget. Let's start in my bedroom, shall we? Several years ago I fell in love with this cover of Martha Stewart's Blueprint magazine. 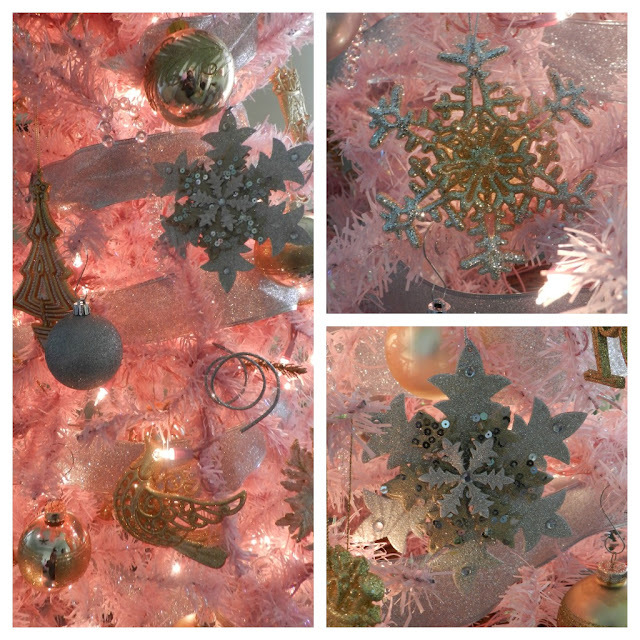 I loved the pink tree (of course) and I also loved how sophisticated it looked paired with gold and silver. As much as I love the tree, I love the price it cost to outfit it in silver and gold even more. Most of the ornaments were purchased at Goodwill for $0.49! I'm not sure where they came from, but apparently they'd received an assortment of beautiful "new" ornaments. I combed through a bucket to dig out all the ones that were silver and/or gold. Score! Needless to say for $0.49, I got as many as I could find. Goodwill also supplied a number of other decorative items for my holiday decor. 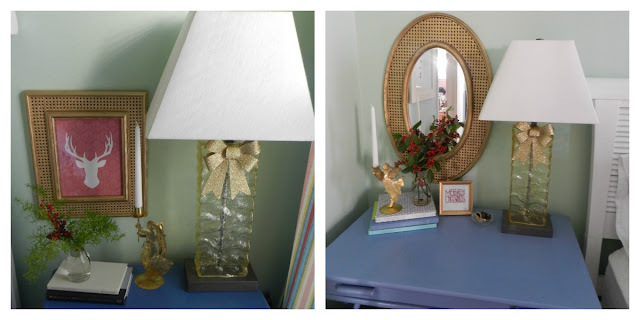 Like these glitter leaves that I added to a simple glass vase and the $0.99 pine cone pot in this vignette. A few dollar store glass bulbs and there you have it. I can't stress how important it is to be able to see the potential in items found at Goodwill. For example, when I saw this cane frame, I immediately thought of the gold cane mirror I recently hung above my bedside desk. 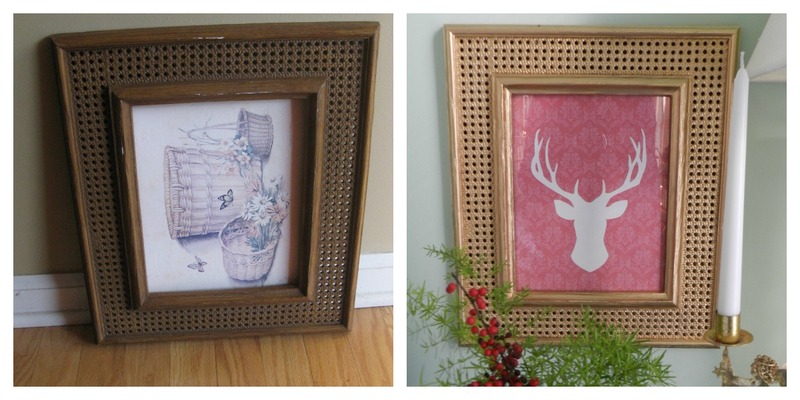 A coat of gold spray paint and an Etsy custom holiday reindeer print and it's a whole new look. Something about this round frame made me want to take it home. I knew that the broken arm would be an easy fix and at $2.99, it was probably worth it. I was right! 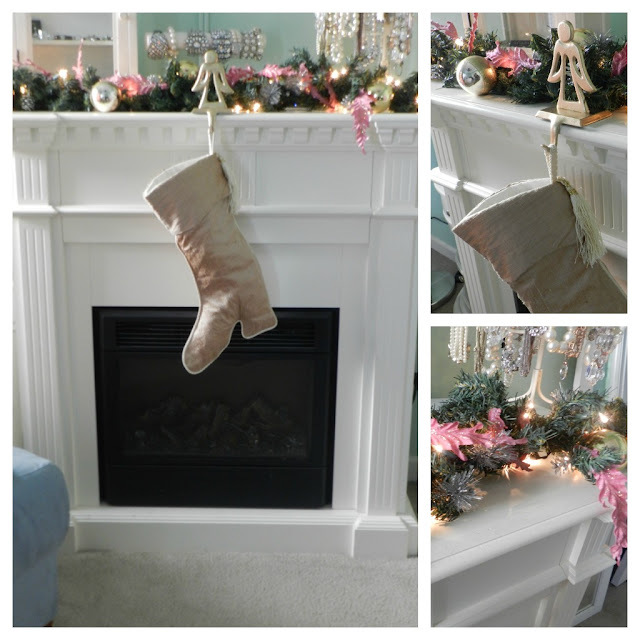 The mantel includes a silk taffeta boot/stocking that I picked up this summer at Goodwill for $0.99. I really like the overall feel. I like quite a bit of holiday decor in my master bedroom. It's where I start and end each day and it makes it extra cozy during the holidays. So, what do you think? 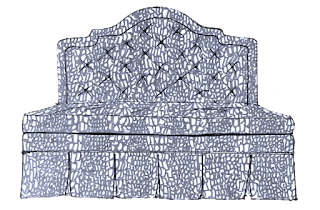 Simply click the words Click Here to Join the Conversation just below this post. Need help? Read this. Thanks! It's only just begun. 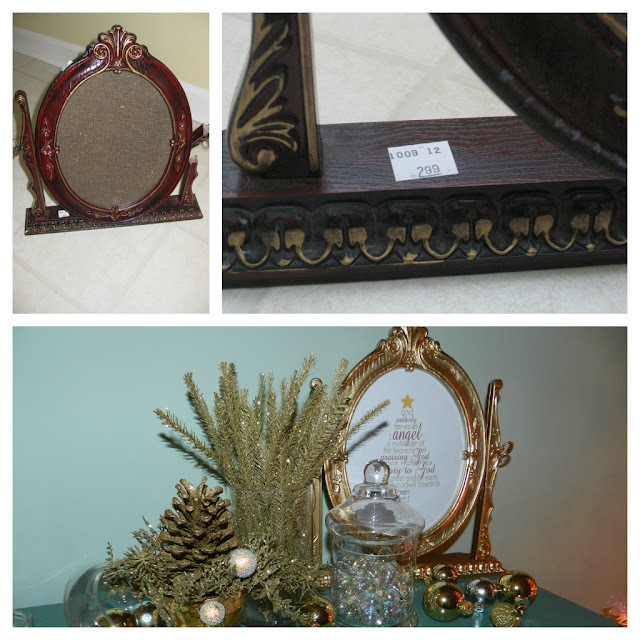 Beautiful and thrifty - we love it! It really is. Etsy has so many great options.